Gorgeous Moroccan Leather Poufs and Ottomans for Any Room! You can place them in the living-room, dining-room, bedroom and even the bathroom if you want! They are not only very, very beautiful and exotic to look at, but also very handy! You can use them as a nice footrest or even as a small ‘extra-seating place’! 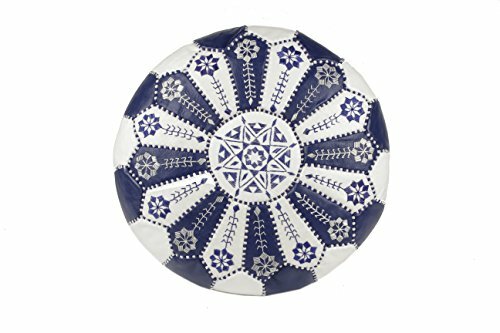 When I was a child my whole family had these gorgeous Moroccan pouf ottomans all over the house! 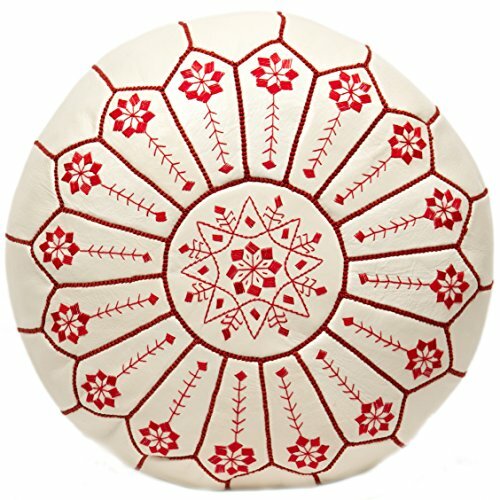 *The one in this picture above is one of my favorites…what a gorgeous design! It comes all stuffed already, with shredded foam inside! 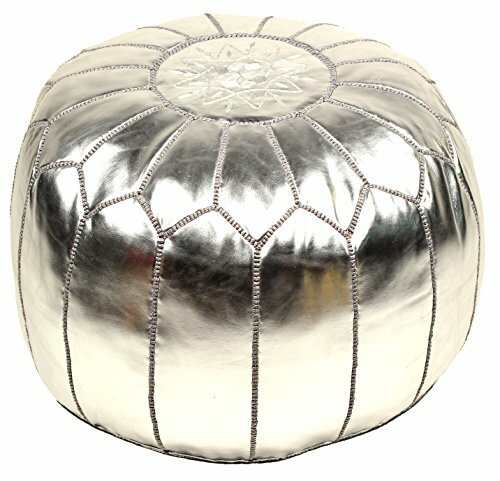 It is a gorgeous and very shiny SILVER leather Moroccan pouf for sale! You can even get two or more and place them around your coffee table, for example. Or lined up by your sofa! 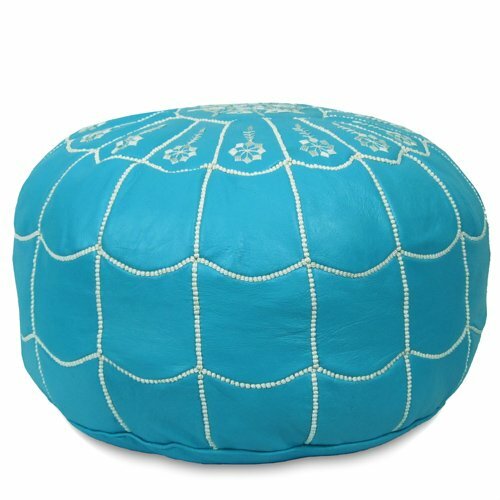 Stunning TURQUOISE Moroccan Leather Pouf! It is not only stunning but also nice and sturdy as well! It comes stuffed and ready to be placed somewhere awesome! I love this cool design too! 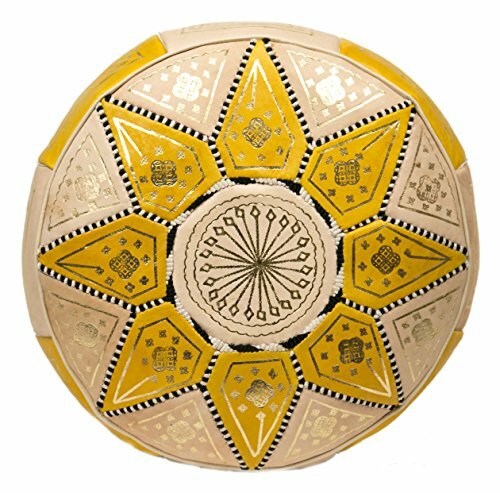 Another gorgeous Moroccan pouf ottoman for sale! This one is in a stylish black color. One of my most favorite colors to have in a home, because it goes with everything! Yes, it also comes stuffed and ready to use. 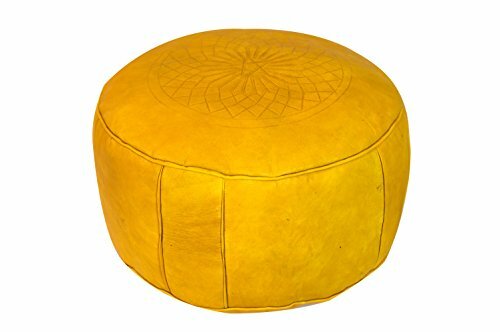 Another stylish and very beautiful Moroccan leather pouf in a cool bright yellow color! This one is perfect to go with a gorgeous white leather sofa set! Prepare to scream from excitement! 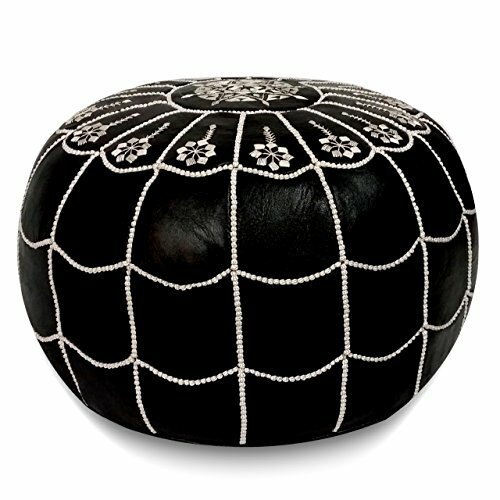 This is one of the most beautiful Moroccan leather poufs being sold in my opinion! What a stunning design in yellow and cream colors! 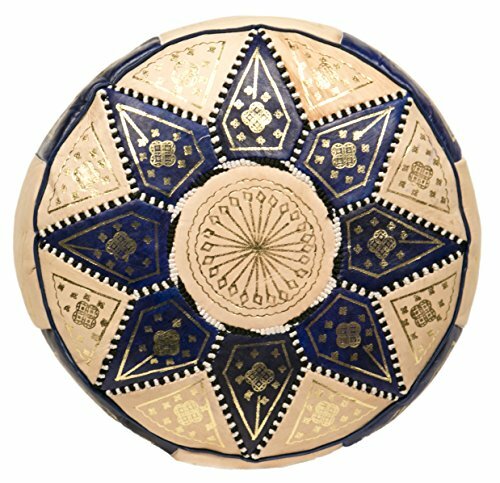 Another stunning Moroccan pouf in dark blue and gold! And last, but not least in the least, another gorgeous Moroccan leather ottoman in a beautiful starburst design! I also love the royal blue and white color combination!